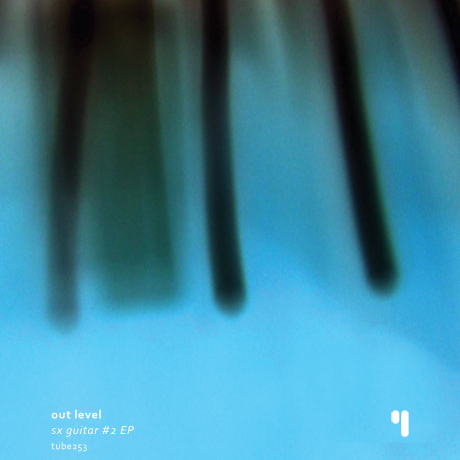 «And eighty releases later, Out Level (a.k.a. Luís Antero for field recording fans) returns with the second part of the sx guitar series (first part here). Again, the only source of audio material here is his guitar, with plenty of effects, feedback and loops to make it almost unrecognizable as a musical instrument. «(...) It isn’t only Antero’s fully realised field recordings which capture attention, as he also creates highly experimental guitar pieces, where the instrument’s voice becomes enwrapped in a shimmering, deep mysticism, and one where her identity is fully cloaked and never seen without a mask. Similar in experimentation lies Antero’s SX Guitar series; as seen in his field recordings, the music here is too created openly, naturally played out in their own rhythms and intricate harmonies. Antero’s second volume in the series focuses on one, wide and spacious aquatic piece, opposing his first release, which comprised of eleven seperate, experimental portraits – their own unique postcards. Antero continues to explore the same areas of experimentalism as seen in his earlier work, but here he displays a far greater maturity and patience to slowly rotate and allow the music a personal space, in loops of hypnosis. It could be said that Portugal’s presence is found in his latest addition to the series, focusing on the guitar as an instrument, without the natural sound of the instrument. The first installment was released four years ago, and this entrance shimmers and wavers with a deeply aquatic feel close to the heart of the music. Along with this, there is a personality and vibrancy that recalls his field recording work. Antero’s field recordings were always active, busy without a chaotic streak, meditative and meandering recordings which evoked a lazy siesta in the afternoon heat. It may be easier to record using laptops and computers in the modern age, but it is still an enviable ability to craft something which sounds organic and free-flowing. Antero’s use of a Buddha machine, a laptop and a blue electric guitar are almost non existent to one’s ears; one could be forgiven for thinking a stringed instrument was not involved at any time during the project. Yet, inside the sharp, crystalline tones there runs a hidden fretboard, ringing out in an endless stream of sustain. A multitude of sounds echoes ever outwards, and from one source many are born. Like postcards, Antero is highly adept at capturing the spirit of a place at any one moment in time. Antero’s work under the alias Out Level allows him to dive deeply into areas of highly experimental music. As an instrument, Antero’s guitar remains forever hidden in a sea of tranquility teeming with electronic glitches and momentary drones. They fade and turn into new, dazzling sonical waters, and it makes for a fluid listen. Looped sections enter and fall back, spiralling in turbulent seas. His music seems to be allwoed the freedom to develop into something all of its own, and this improvisation really allows this addition to breathe underwater. Like the aquamarine artwork, the music displays richly warm, evocative tones, and an occasional, rotating drone of the deepest kind acts as an effective, soothing undercurrent. Alongside this lay notes which trail off with an icy purpose, perhaps eerily so, communicating the sonarsignals and cries of the deep. Notes flow in and out, blurring with rhythms, shimmering with a beautiful crystal clarity in their cycle of loops. It may not immediately captivate in the same manner as his field recording work, but as ever, a deep listening experience will be discovered with just hints of patience. Antero is more interested in a developmental piece this time around, rather than a snapshot of differing rhythms and frequencies of his first excursion. I have to say that I find a strong rhythm to the music, a rhythm with no form of percussion, yet one which exists as sure as a heartbeat. And because of this, there is a definite motion; the music can never sink into boredom, and turns into the lightest of voyages, as sparkling, transluscent timbres smoothly pass over the clear, aquatic airwaves. A cascading waterfall of electronic cycles endlessly, and it is completely immersive in its ambience over all twenty five minutes. In this regard, it is similar to Shinji Masuko’s solo work, most noticeably the relationships between delay and electric guitar. The long-flowing nature of the music allows ample space to breathe and stretch, and while the first set of guitar recordings produced more variety, Antero displays here his greater confidence and mastery and because of this, there is where his increased maturity lies, leading to excitement. Of course, the advantages of focusing purely on one mood inside one piece of music lends it a certain freedom. It’s spacious and unrestricted, and this is what effectively seduces the listener. Antero’s aquatic ambience, currents of glitches, the presence of a drone, and a delay drenched reverb is like discovering a bursting ecosystem full of life as we descend underwater. The drones sink deeper, into sub aquatic levels of the oceans. The instrument takes on a remarkable transformation, cutting and ever changing. It may lack the warped, distorted melodies of Antero’s first SX Guitar LP, but it seems this was never an intention to repeat what was already achieved to such an interesting effect. Instead, the aim is a largely unstructured piece, and the music can then transcend into a deeper listening experience. Deep echoes of drones add a heavy substance, entering slowly as we descend the depths, while also creating a smooth and soothing contrast to the shrill pitches under the influence of an endless delay. These deep reverberations may reflect the deep fathoms of both his sound, and the ocean off the Portuguese coastline. SX Guitar #2 propels the listener into the deep, and Antero’s sound remains focused, yet deep. The possibilities for Antero to continue in this vein are seemingly endless, and it will be with a great interest to see what experimental discoveries lay in front. As his notes speak a new language, Antero has created an immersive listen which acts as an effective hypnosis, until we awake from the depths and surface.